We are a Professional Home base Marketing Specialist Online, working for more than 8 years now by Experience and WE are working Offshore for our clientele in USA & Canada. 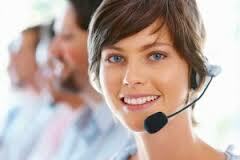 CSSP Team is here to provide you the APPOINTMENT SERVICE FOR POTENTIAL CUSTOMER TO YOUR BUSINESS. Prospect that are looking for Cleaning Companies in their area. Prospect that contract will be expire this year. Prospect that are planning to change their cleaning provider due to unsatisfied provider. Prospect that has no contract with cleaning provider. Prospect that has NO PROVIDER and looking for a better deal in cleaning service. WE CAN CUSTOMIZE YOUR TARGET PROSPECT BASE ON WHAT YOU NEED. Decide how much you want to work!